When I was younger, I read lots of long novels that ranged from Crime and Punishment to The Raj Quartet. As I grew older, I began to prefer action-packed, shorter novels and found myself shying away from anything over 350 pages. Perhaps a hectic life contributed to my preference for shorter work, but there might have been something else at play. As a writer, I’ve always found it appealing to write mysteries in the 70,000 to 75,000 word range, but even that takes me a long time to rewrite and edit. 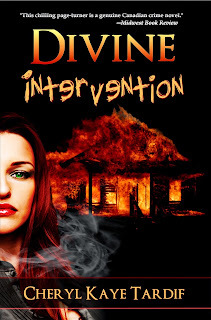 Those who follow my blogs know that I’ve been writing novellas in recent years. 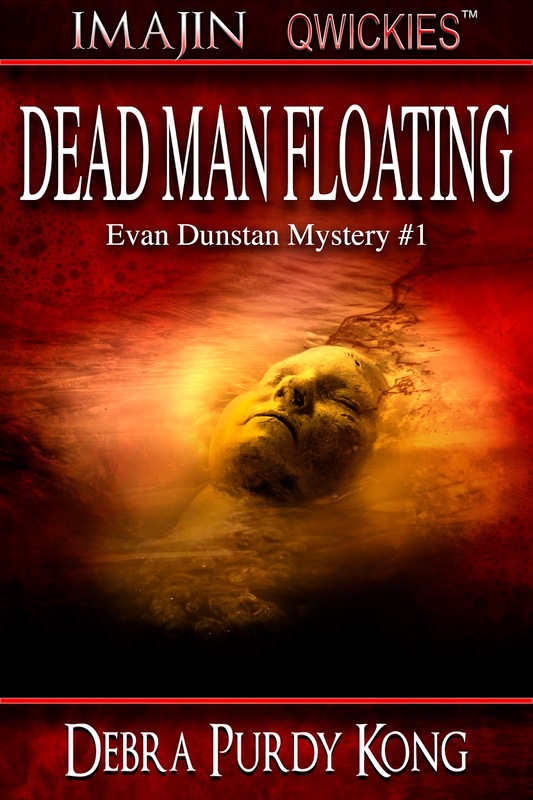 The first, Dead Man Floating, was released by Imajin Books in September. Aside from finding a wonderful way to stretch creativity with new characters and word length challenges, there may be another reason I’m gravitating toward writing and reading shorter books. In fact, a blog by Rebecca Rogers Maher on why she prefers to write shorter fiction really made me stop and think. Maher writes and reads a lot of contemporary romances, but she’s often found herself skimming over sections because the emotional anguish and conflicts are mentioned seven or eight times. It disappoints her. She wants to be pulled into a story right away and absorb every word. In other words, every word needs to move the story forward, not to provide frequent reminders. This is why Maher believes that most 90,000 word contemporary romances don’t need to be that long. She may be right, and I have to say that the same is true for mainstream novels. With the two mainstream novels I read recently, I found myself puzzling over a paragraph and thinking, but I already know this. It was mentioned three chapters ago. Is it possible that the publisher is driving the word length? Do they and the author think that readers have painfully short-term memories? Publishers' minimum and maximum word length requirements isn’t necessarily a good thing. Wouldn’t it be better to tell a story the best way possible and let the word length land where it does? Isn’t that doing yourself and your readers a favor? I know many readers who love full-length fiction and that’s great. But how many of those full-length novels could have been pared down a little or a lot? Rebecca Maher is writing 50,000 contemporary romances these days instead of the publisher-preferred 90,000 words. She wants to write the type of story where readers aren’t skipping over the slow or repetitive bits. It sounds like a good plan to me. Quirky characters add spice to a story and can also be used as a source of tension. In our science fiction novel, Animal Future, we began with the premise that in the near future, an unexplained phenomenon has caused some species to become intellectually elevated to the point that they are classified “provisional humans” and can hold down human jobs. Although our book is a humorous action-thriller, there is an important sub-text that asks: Suppose the “Elevation” actually occurred. How can two very different populations learn to get along with each other? In real life, this is a vitally serious question, and serious questions can often be asked most effectively when mixed with humor. That means our novel needs humorous characters. We start with a chimpanzee character, but immediately we have a problem: chimpanzees wearing clothes are a cliché. We counter that by pushing it a step farther and making our chimp, Mr. Brian, even more “clothed” than a human would be. He’s a “bespoke” (custom) gentleman’s tailor with a deep knowledge of the fashion industry. Naturally, a high-end clothier like Brian wears high-quality suits, French cuff shirts , and silver cuff links. He speaks impeccable English and is unfailingly polite. We then put pressure on those traits when Brian and two humans, Autumn and Mack, go on the run from terrorists trying to kill them. Having to sleep in a zoo, go without showering, and sweat profusely while battling to stay alive will strain anybody’s fastidiousness and courtesy. This means conflict. Sometimes it’s Autumn and Brian in conflict with Mack; at other times it’s Brian and Mack in conflict with Autumn. Brian also has to learn to appreciate the quirkiness of humans. Mack, a rough-edged but pragmatic spy with a wisecrack for every situation, thinks in divergent ways that don’t match Brian’s honest and conservative nature. This puts pressure on Brian to learn new ways to solve problems, which he does by learning to change his way of thinking. Autumn, the Vietnamese-American policewoman who is fleeing with them, has her own quirks, among them an interest bordering on reverence for the cultural history of Vietnam (unlike the rest of her Westernized family, ironically). Brian, however, is an entrepreneur who looks very much to the future. As an “elevated” Provie, he has little sense of the history of his species, and therefore can’t understand or appreciate Autumn’s dedication to the past. We put pressure on this trait by having Brian switch identities with a chimp employee at the zoo. There Brian begins to see that it can be helpful to know how things worked in the past if you are trying to deal with the problems of the present. As a chimpanzee, Brian has stupendous latent physical strength and aggression. Ironically, he has to be encouraged by the humans to get in touch with his ape side and be less cerebral and more physical. This leads him to take the actions that eventually make him a hero. In this quirky, thoughtful, action-filled novel, a female cop, a well-dressed chimpanzee, and a spy are on the run from shadowy assassins armed with machine guns, drones, missiles, and two-inch fangs. Since the mysterious Elevation of animal intelligence, San Diego has been flooded with immigrant animals and society has changed. Officer Autumn Winn wants to leave the Tactical Assault squad and become an expert on her Vietnamese heritage. But first she has to prove she’s not guilty of murdering her partner. To do that, she has to rescue the kidnapped wife of the chimpanzee tailor Mr. Brian. In the process she is forced to cooperate with Mack Davis, a good-looking but smart-mouthed operative trying to stay alive long enough to retrieve his digital wristband with its vital data, and also discover the secret of a jade figurine he just transported from Singapore. As they race to find Brian's wife, the trio must navigate a colorful landscape of characters including a comical pair of ferrets; a wealthy human socialite; a chimpanzee paramilitary commander; and Urizen, the deranged king of underground intelligence in Southern California. Robert McGraw has had several professions, but his most difficult job is convincing his wife he's actually working even when he's just staring out the window. He is the author of numerous magazine and newspaper articles, as well as three books. Two of his television scripts won awards from the International Television Association. A former professional symphony musician who spent several years playing for the Cape Town Symphony in South Africa, Robert has a Master's degree in Education and completed the work (all but dissertation) for a Ph.D. in music. He also studied art at The Ruth Prowse School of Art in Cape Town and creates visual art in a variety of styles. His works are represented in the collection of the International Museum of Collage, Assemblage and Construction in Santa Fe, New Mexico. Darrin McGraw grew up more or less in a succession of libraries. He is pleased to note that the New York Public Library has a McGraw Rotunda, though he cannot actually take credit for this. He graduated from Stanford University and earned a Ph.D. in English from UCLA. After working in online software development he served for eight years as the writing director of the Culture, Art and Technology program at UC San Diego. Besides writing and reading he has many other interests including early music, alternative architecture, and woodworking. When scientists have finished cloning the woolly mammoth he has a few other extinct species to suggest, including Cleopatra and Dr. Samuel Johnson. I’m delighted to have mystery author Kristina Stanley guesting again this week. Kristina’s doing something amazing by launching her second full-length mystery, BLAZE, just three months after DESCENT was released. She’ll also be hosting a Facebook launch book party (the link’s at the end of her blog). Kristina’s written an excellent piece called “Launching a Novel”. Enjoy! Somehow I thought once I had a novel published the stress would disappear. To use a cliché, the joke is on me. 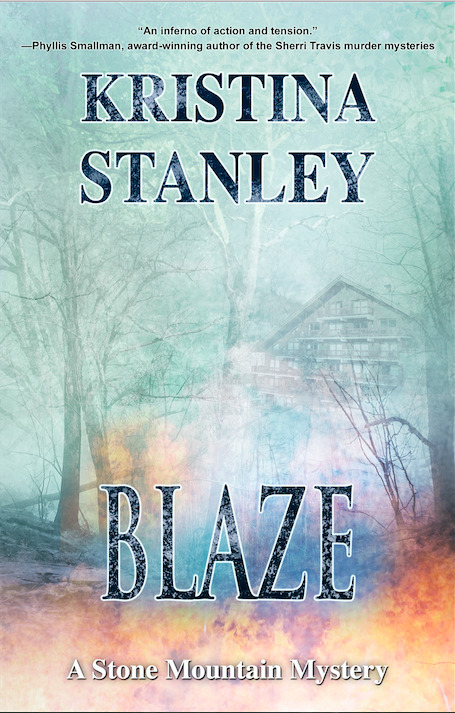 BLAZE will be released one week from today, and I can tell you releasing a second novel is more nerve wracking than releasing the first one. For the first release, I wonder if people were nice to me because DESCENT was my debut novel. Now, am I expected to be good at book launching? This thought is what is stressing me out. So deal with it, right? My way reduce stress is to be organized, and since I’ve organized my thoughts, I’ll share and maybe I can help someone out there with their launch. Write dedication, acknowledgements and letter to reader for inclusion on inside of book. Imajin Books publishes novel, and I sit back and relax (ha ha). Find places to guest blog and write a unique post for each site. Create author page on Amazon (or update for second book). Create a Facebook Launch party. Find authors who are willing to donate books for giveaways, advertise the event, and host the event. Send copies of novel to reviewers. This needs to be done early. Blog on my site 5 times a week. I used to blog twice a week. Comment and follow other blogs about writing, reviewing, and publishing. Participate in other Facebook launch parties and donate my novel as a gift. Promote other authors’ books and book launches. Promote novel on blog, Pinterest, Google+, Goodreads, Facebook (both personal and author site), LinkedIn, Twitter, online magazines, AuthorsDen, and Tumbler. This may be obvious, but say thanks every time someone helps me in the smallest way. I don't have an email list, but I probably should. This will be what I add next to my process. It’s easier to sell books than to get reviews. Other authors’ Facebook parties are a great way to increase visibility. Not everyone will like your marketing methods and negative feedback is never fun. I enjoy blogging and connecting with others online as much as I enjoy writing. There are many generous people willing to help. When Facebook friends shared they bought DESCENT others bought DESCENT too. This word of mouth concept really works. Promoting others widened my network. In the spirit of launching books, my Facebook launch party for BLAZE (https://www.facebook.com/events/1630121803934943/) is next Sunday, October 25th from 4 to 6 PM EST. I would love to see you there. 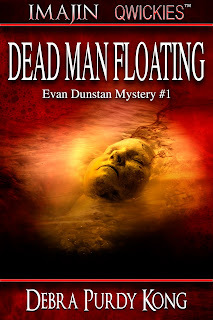 For added Facebook excitement, Debra will be giving away a copy of DEAD MAN FLOATING at the BLAZE Facebook launch party. If you’re not familiar with a launch party, drop on by and chat with authors, maybe win a book, and socialize online. I’ve met some fun online friends this way. Kristina Stanley is the author of the Stone Mountain Mystery Series. 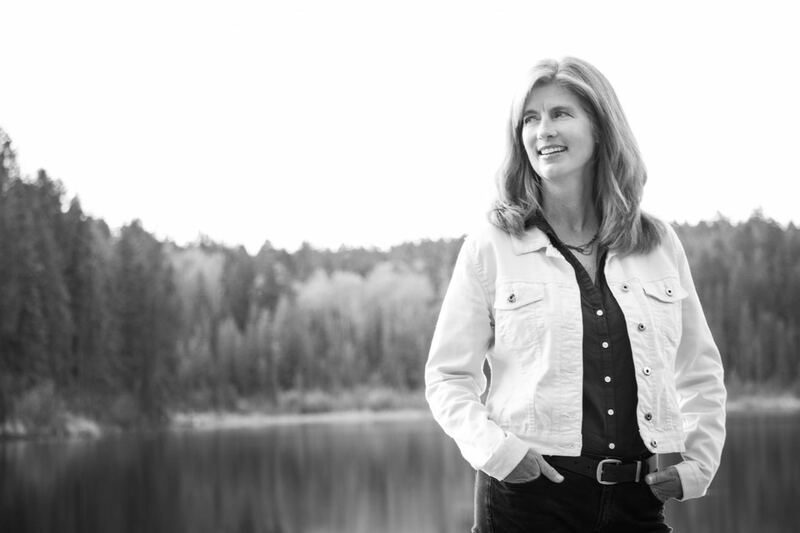 Her books have garnered the attention of prestigious crime writing organizations in Canada and England. 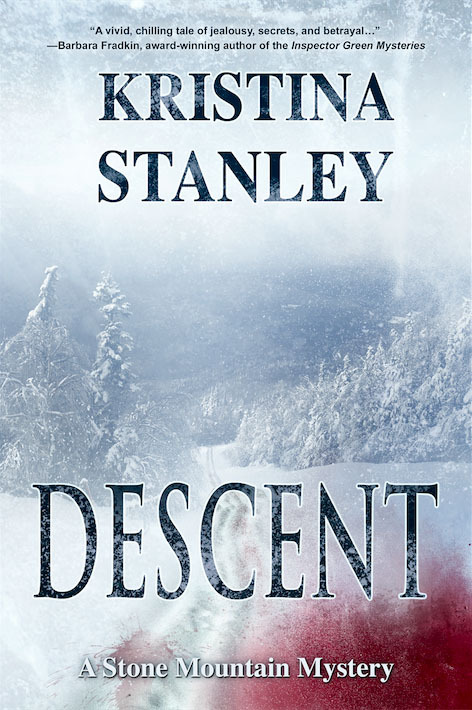 Crime Writers of Canada nominated DESCENT for the Unhanged Arthur award. The Crime Writers’ Association nominated BLAZE for the Debut Dagger. She is published in the Ellery Queen Mystery Magazine. Thank you, Debra, for hosting me. First, Happy Thanksgiving weekend to all of my Canadian friends and colleagues. I’m taking a break from hosting guest blogs this week to give pause and thanks for all the good things that have come my way. As someone who constantly strives to improve my writing and promotion skills, I've read plenty of how-to books and articles over the past 35 years. I’ve also soaked up information at numerous conferences, workshops, seminars, and critique groups. I’m going to share some of the advice that resonates with me. Maybe they will for you too. First, stop competing with other writers. There will always be more talented or prolific, better connected, and luckier authors than you. Plenty of them will earn more money than you do, but none of this is important because their careers have nothing to do with yours. What really matters is your journey, that you make the most of your skills and opportunities. Second, don't spend huge amounts of time worrying about failing. If you're inclined to fret, then worry about not trying hard enough or coming up with ways to work more efficiently and create publishable work. Rejection, lousy reviews, and poor sales months (even years) will happen. Most of those things are out of your control, so focus on what you can control. There is no clear definition of what constitutes a successful author, so don’t let someone else do it for you. It’s a personal thing. A writer’s goals and ideas about success vary widely. It could be the number of books or short stories written, the number of contests won, number of books published, workshops given, great reviews, and income. Figure out your own definition. Learn to work at a pace that suits your time, energy, and other responsibilities. Please don't fall into the "I must write multiple books a year to stay on top of Amazon's algorithm" trap. For the great majority of writers, it's unrealistic. If you're going to invest time to write a book, then invest more time to see that it’s edited properly. Great writing isn't a scribbling race, it’s a learning process. I've heard more than one writer state that he/she is counting on writing income for their retirement. This is the world's worst retirement plan. Sure, we've all heard the stories about unknown writers rocketing to fame and fortune, but these incidents are still rare. You can hope for writing income to supplement your retirement plan, but to count on it is incredibly risky. You've probably heard this many times before, but write because you love it, not for the money. Lastly, publishing your novels can put you in the poor house. I’ve met many authors who've decided to go all out to promote their first book(s) by flying to conferences to take part in panel discussions, give workshops, and do book signings. Based on my experience and those of colleagues, it never pays for itself financially. In fact, you're lucky if your bar tab will be covered. You will enlarge your network and potentially gain more readers, but this will likely mean that you’re operating at a loss for at least several years, if not longer. Be prudent with your promotion spending and keep in mind that the big publishers aren’t likely to give you a promotion budget. In today’s world, there are plenty of free and low-cost marketing venues to promote yourself online. Above all, follow your instincts. There will be conflicting advice from books, writing colleagues, agents, editors, critique groups, and well-meaning friends and family. At the end of the day, do what works for you and, above all, enjoy the journey. It’s your life, your words, and they should mean everything to you. 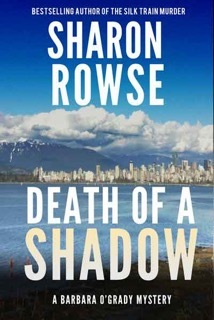 It’s my great pleasure to introduce BC mystery author Sharon Rowse, who I’ve known since her first historical mystery, The Silk Train Murders was nominated for an Arthur Ellis award. Author of eight books in two series, former human resources expert Sharon now spends her days writing and researching. 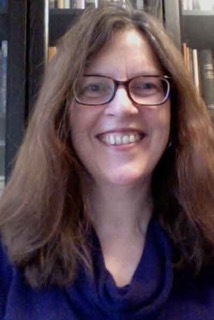 Her love of history combines with her knowledge of human behaviour in books that seek out unique, forgotten bits of history, melding them with memorable characters in the mysteries she writes. Sharon’s work has been praised as “impressive” (Booklist), “delicious” (Mystery Scene) and “well-researched and lively” (Seattle Times). Sharon’s most recent work is the historical mystery THE TERMINAL CITY MURDERS, the fourth in a series, which is set in early 20th CenturyVancouver. The first novel in the historical series, THE SILK TRAIN MURDER, was a Crime Writer’s of Canada Best First Novel Award nominee. Sharon also writes contemporary P.I. novels that explore the dark side of the art world, the Barbara O’Grady series, which are also set in Vancouver. The fourth, and most recent of those books, DEATH OF A SHADOW. Sharon’s topic is Writing Historical Mysteries, and it’s fascinating to read what she learned while researching Vancouver at the turn of the twentieth century. 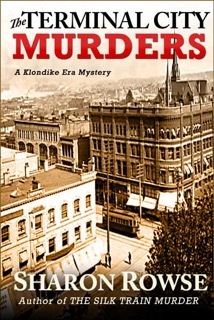 I write two mystery series, one contemporary—the Barbara O’Grady series, and one historical—the Klondike Era mysteries. Why historical, you might ask. Isn’t that a lot of work, all that research? Well, yes. But I’ve always loved history, fictional and otherwise, and the way in which we understand our history fascinates me. In fact, one of my favourite books in university was a collection of six essays entitled What is History by E.H. Carr, which examined the cultural biases that historians bring to their work, and how it impacted their interpretation of history. History is usually written by the victors, after all. When I sat down to write, I was drawn to the history of the West Coast, especially around Vancouver, Canada, where I live, since it was in many ways the last western frontier, and since much of its written history is very new—a couple of hundred years, at most. I was intrigued by how much was different from today—and how much was the same. I was also drawn to an era of great change—the end of the Victorian era and the beginning of the twentieth century. One of the biggest elements in the growth of what are now major cities along the West Coast was the two to three year madness of the Klondike Gold Rush in the late 1890’s. Vancouver was a key departure point for would-be miners from around the world—a place to find supplies, transport and comrades for the gruelling journey to the gold fields. In a time of ever-increasing change, many of those men and women heading north to find their fortunes were leaving home to find a place where they could succeed, as much as they were looking for gold. Usually you read stories about the men and women who came away from the Klondike Gold Rush with a fortune. I was intrigued by all those who didn’t—the ones who put everything they had into the effort, and came home broke. I spoke at length with a curator at the Klondike Museum in Skagway, Alaska. He told me about the journals of some of those miners who never found gold, and how many said the Klondike Gold Rush was the best thing that ever happened to them. The struggle itself was a transformative experience. Those words stayed with me. All of this came together as I thought about writing a historical series. The hero, John Lansdowne Granville, is English, the fourth son of a minor aristocrat, who hasn’t found his place in late-Victorian society. After eighteen months on the creeks of the Klondike, he finds no gold, and winds up in Vancouver, hungry and broke. As I research and write, I focus on what living in Vancouver was like then, and on the opportunities that might have existed for a man like Granville. What would he make of them? Vancouver was founded and settled by folks from elsewhere—though the Coast Salish were here long before the city was. I try to make the background and details for each book as historically accurate as possible, and to convey the feeling of the era. I’m often struck by the differences a hundred or so years have made, as well as the things that haven’t changed. My challenge in writing these books is to convey the experience of that time through the eyes of my character, noting only the things they might have noted. All the while keeping each of my characters true to who they might have been, given their own cultural backgrounds and experiences. John Granville is very real to me, as is his friend Sam Scott and his incurably curious ladylove Emily Turner. I continue to research while I’m writing, so I’ll often find information that will spark a new direction for the plot. In each book, however, my first inspiration is a piece of history that catches my imagination, and interests me enough to dig deeper. In the first book in the series, The Silk Train Murders it was the silk trains that raced across the continent carrying raw silk, which retailed for three-quarters of a million dollars per railcar, in 1899 dollars. In The Lost Mine Murders, it was learning about a legendary lost mine near Pitt Lake, some 35 miles outside Vancouver, which has been searched for, and claimed lives, since the 1890’s. In The Missing Heir Murders, I was fascinated with the stories from many parts of BC about a long ago voyage of Buddhist monks from China who travelled down the West Coast from northern British Columbia to southern Mexico. In my latest book, The Terminal City Murders, I was caught by the fact that banks were not allowed to provide mortgages until 1954. In 1900, all mortgage companies were private, and were often funded by British or American investment syndicates. Given the boom and bust nature and astronomical prices of the Vancouver housing market around this time—shades of 2015—it was a situation ripe for fraud. How could I resist? I’m currently working on book five in the series, The Salmon Cannery Murders, and you can probably guess my inspiration for that one. I lived in Steveston, which was the hub of the salmon industry in 1900, for nearly a decade, before the last of the big canneries was torn down, and I think I absorbed the stories just by being there. It was finally time to write the book, which should be out early next year. The funny thing is, my love of history seeps into my current day private eye series, too. Barbara’s cases often have roots in the past, and send her hunting for secrets that have lain hidden for many years as she races to solve a present-day problem. CHECK OUT SHARON'S LATEST RELEASES, DEATH OF A SHADOW AND THE TERMINAL CITY MURDERS on Amazon!